for $195,969 with 4 bedrooms and 2 full baths. This 1,712 square foot home was built in 2003 on a lot size of 80 X 80 X 125 X 125. THIS IS A SHORT SALE AND SUBJECT TO BANK APPROVAL.Great location in the desirable SW section. Well maintain home. 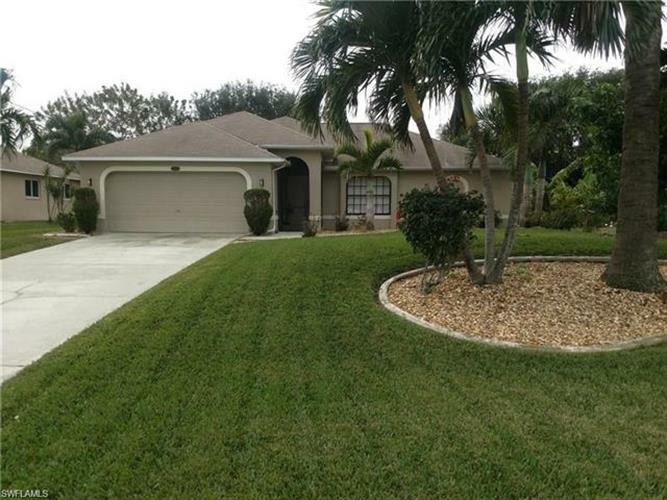 4 Bedroom Hansen home in sought after SW Cape Coral. This home is very well maintained with beautiful landscaping & lush grass. Open floor plan, lots of tile. Spacious kitchen with large work island. Separate dining area. Split floor plan. Nice size master retreat and private large bath and offers dual sinks.